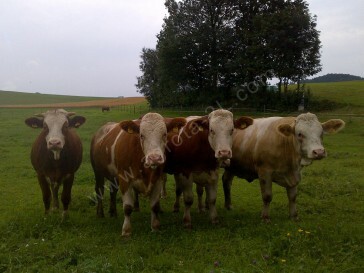 Simmentals originated from Switzerland. 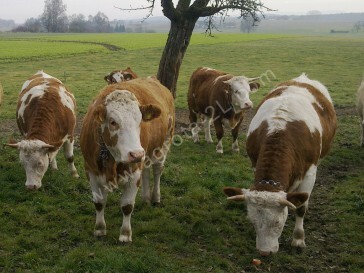 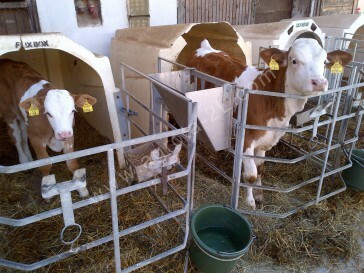 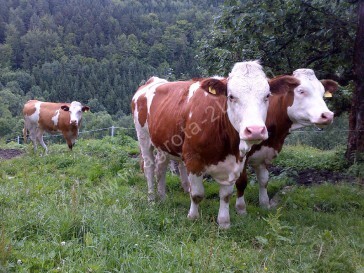 The Simmental has historically been used for dairy and beef production. 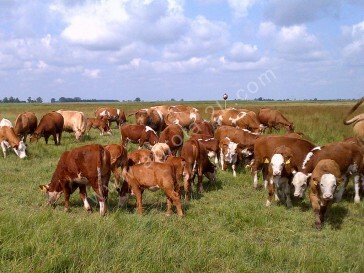 They are particularly renowned for the rapid growth of their young, if given sufficient feed. 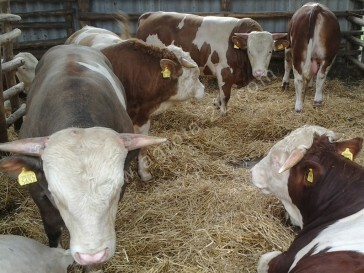 Simmentals provide more combined weaning gain and milk yield than any other breed and the breed grew to become Europe’s dominant dual purpose beef/milk breed. 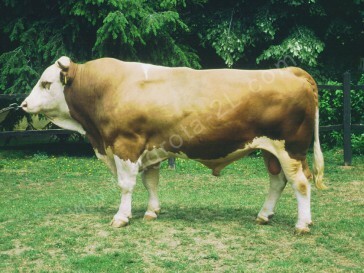 The name is given specifically to the breed in Switzerland, and the breed contributed to the creation of several other famous european breeds, including Montbeliarde in France, or Fleckvieh in Germany and Austria, Hungarian and Slovakian Spotted cattle. 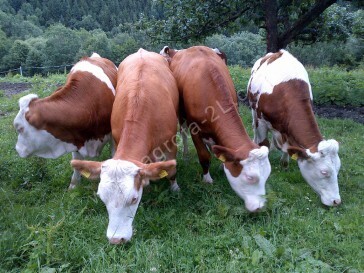 Simmental colour varies from gold to red with white, and may be evenly distributed or clearly defined in patches on a white background. 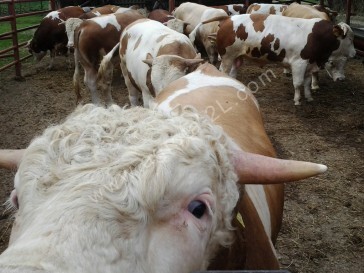 The head is white and often dark pigmentation around the eyes can be found. 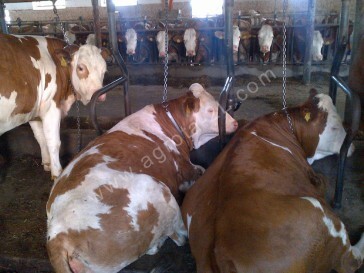 The legs and tail switch are generally white. 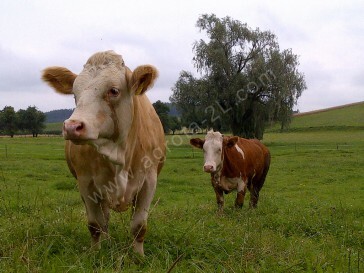 Simmentals are naturally horned, but polled strains of Simmental also exist. 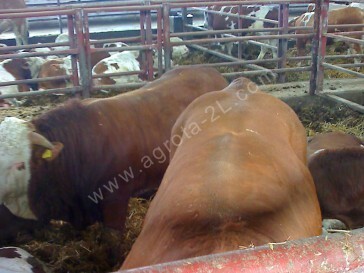 They have a large frame with good muscling. 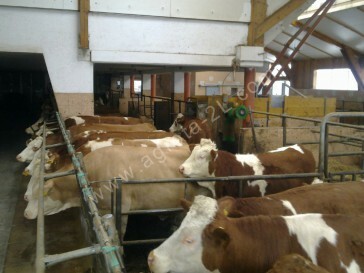 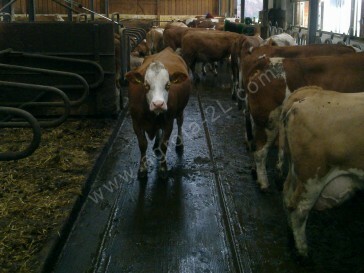 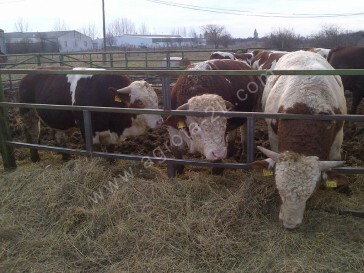 Weight can vary by the cows around 700-900kgs and bulls 1300kgs. 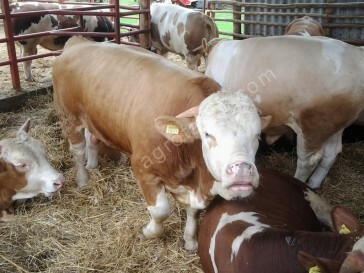 It is a mid-early maturing breed. 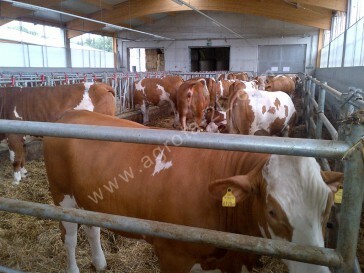 Heifers can be brought into breeding when reaching a weight of 380-420 kg at an age of 16-20 months.